We are one of the established manufacturers, suppliers and traders of an optimum range of Sheets and Plates. These products are available in various sizes in order to accomplish the variegated needs and demands of the cherished clienteles. In order to ensure the toughness of the products, our experts make use of optimum quality basic material in the fabrication procedure. 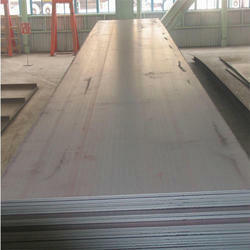 Carbon Steel / Boiler Quality Plates as per IS 2062 Gr. A, B & C, IS 2002 Gr. 1 & 2, ASTM A 516 Gr. 60 & 70, ASTM A 515 Gr. 70. Standard Foils,Shim Sheet,Rolls,Perforated Sheet,Chequered Plate. 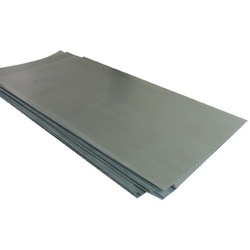 Backed with immense technical expertise, we are engaged in offering an outstanding quality of Stainless Steel Sheet Plates. These steel plates are acknowledged in the market for its accurate dimensions, durability and sturdiness. Our given steel plates are manufactured utilizing high quality material and modern techniques in compliance with the set norms of industry. 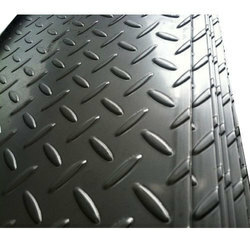 The offered steel plates are accessible in several specifications at affordable rates to the customers. 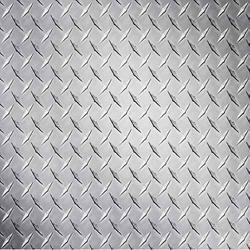 We are the prominent manufacturer and supplier of qualitative Stainless Steel Chequered Plates.These checkered plates are manufactured with the help of latest techniques using best quality material. Offered checkered plates are thoroughly examined on appropriate quality parameters for make certain its superiority at our end. The provided checkered plates are obtainable at competitive price from us in a stipulated time frame. We hold expertise in the domain of offering our valuable clients a premium range of Stainless Steel Sheets. 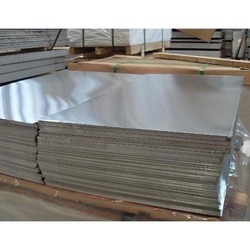 This steel sheets is manufactured utilizing matchless quality material and latest techniques keeping following the set norms of industry. Our provided steel sheets is examined on quality provisions so as to make certain its excellence. 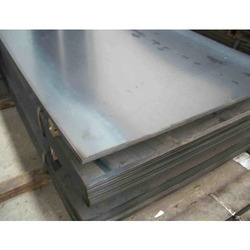 Furthermore, this steel sheets is available in various specifications within a given time period. Material Grade ASTM / ASME SA 240 UNS NO. S 31803,S 32205,S 32550,S 32750,S 32760. Material ASTM / ASME SA 240 UNS NO. S 31803,S 32205,S 32550,S 32750,S 32760. Standard ASTM / ASME SA 240 UNS NO. S 31803,S 32205,S 32550,S 32750,S 32760. M P JAIN are one of the Leading, Stockiest & suppliers of Duplex Steel Plate. 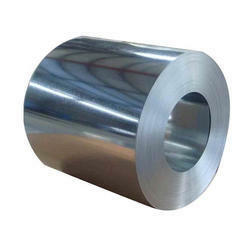 Duplex Stainless Steels, also referred as austenitic-ferritic stainless steels. These steels have a duplex microstructure which contributes to their high strength and high resistance to stress corrosion cracking. Due to their high content of chromium, nitrogen and molybdenum, duplex steels offer good resistance to local and uniform corrosion. Duplex stainless steels have good weldability. Shape Foils,Shim Sheet,Rolls,Perforated Sheet,Chequered Plate. Ni 201 is composed of roughly the same chemicals as Ni 200 except for the aforementioned difference in carbon content. Continental Steel is a distributor of Nickel Alloy Ni-201 and Commercially Pure Nickel in rod, bar, pipe, tube, plate, sheet, strip, fittings, forgings, and wire. All of the above fall under one of the many strict industry standards, including those from ASTM, ASME, DIN, ISO, and B/SB. M P JAIN is a stockist & distributor of Hindalco and Nalco for complete range of aluminium products. We hold one of the highest inventory of aluminium rolled products in India. In India, aluminium is used in only around 300 applications, while it has 3000 uses in the western world. The per capita consumption of aluminium in India is 0.80 kgs whereas it is around 20 kgs in developed markets. With increasing use in automobiles, food and beverages, building and construction and several other industries, the demand for aluminium is expected to increase exponentially. Primacy Systems' market position and core competency will put the company in the forefront to serve the domestic and global markets. We specialize in import of all kinds of aluminium products, in various alloys from 1xxx to 7xxx series, from Asia, Europe and the US. M P JAIN are well known Exporters, Suppliers & Stockiest of Premium quality Titanium Plates & Titanium Sheets in Mumbai, India. that find application in various industries across the globe. Our plates, sheets and coils are testimonials of our quality standards. Titanium sheets and plates are used in a wide range of applications including structural, mechanical & general engineering purposes. We can offer sheet and plates in variety of grades and lengths as per the client's requirement. Titanium is 30% stronger than steel, but is nearly 50% lighter. Titanium is 60% heavier than aluminum, but twice as strong. Titanium has excellent strength retention to 1,000 degrees Fahrenheit. Titanium is alloyed with aluminum, manganese, iron, molybdenum and other metals to increase strength, to withstand high temperatures, and to lighten the resultant alloy. Package Standard export package,suit for all kinds of transport ,or as required. Application 1.Based on High intensity,titanium products tensile strength can be up to 180Kg/mm. so the titanium alloy can also be artificial bone. Contact If you have any question ,please feel free to contact me . M P JAIN offers an unmatched range of Stainless Steel Coils. These are manufactured using premium grades of steel and in varied specifications. Amanat Steels comply with the prevailing industry standards and offer our clients coils that are dimensionally accurate along with high tensile strength. Our range is also made available in customized specifications as per the clients' requirements.Our range of Stainless Steel Coils are available in grade like 304, 304l, 304h, 316, 316l, 316ln, 316ti, 309, 310s, 317l, 321, 347, 409, 410, 420, 430, 446 & 202. Heat treatment, annealing, pickling, polish, electroplating, anodizing, rolling, cutting, bending, forging, minor fabrication etc. Thickness: 0. 1 mm to 48 mm, width: 1000 mm to 2500 mm, length: 2000 mm to coil. 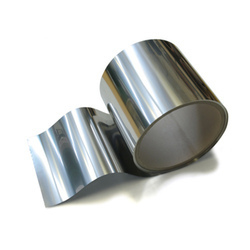 We are a renowned stockiest and supplier of an exclusive range of Stainless Steel Rolls. Offered product is inspected on numerous parameters of quality for dispatching a flawless assortment. The offered product is professionally manufactured from the excellent quality material in fulfillment with the market norms. This product is accessible in different specifications to fulfill the ample desires of patrons. MPJC stcok and supplies a broad range of Stainless Steel Flat Bars. These are of extensive use to the makers of automobile and auto-ancillaries, gratings, cable trays, base plates, earthing material, ship building, washers, flanges, clamps truck trailers, tippers, railways, bus body, elevators and escalators, scaffolding manufacturers, and several other applications across different engineering industries. They are also being utilized in the architectural and other structural sectors. Our stainless steel flat bars are crafted from the finest grade raw material to ensure not just a superior, lasting finish and appearance, but also to significantly improve the reliability as well as longevity of the product. We at MPJC are very conscious about maintaining a consistency in the quality of every product. Using sophisticated testing and inspection equipment and a strict protocol for adherence of norms, we are able to churn out batch after batch of nearly flawless volumes of flat bars. These come in varying thickness and width, depending upon individual specifications received from the customer. Test Certificate Manufacturer Test Certificate / Laboratory Test Certificate from Govt. Approved Lab. & Under Third Party Inspection. M P JAIN is one of the leading Stockiest, suppliers and exporters of Hastelloy Plates. 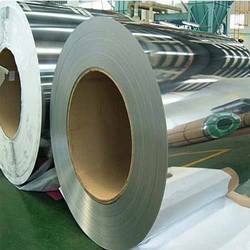 Inconel Sheets is also one of the Nickle base alloy having Majority of Nickle in it. It is available in different shapes & sizes. M P JAIN is one of the prime supplier, stockist, exporter and trader of Monel Sheets and Plates in India. Our Monel Sheets are being offered and available in an extensive range of mechanical applications and are also delivered in close tolerances, in addition to in greater finish standards and dense structures, which makes these to deliver best process support. Our Monel Plates are involved in end methods where these are used in offering an ideal structural support in form of trailer beds, frames, as well as offering usage support as trailer parts and supports for conveyors and buildings. Ensuring to give high quality of materials, these can further be custom-made in terms of sizes, shapes and thicknesses as per the precise needs of our venerated patrons. M P JAIN has huge nickel plates stock. Nickel plates are excellently suited to applications exposed to extremely low temperatures. To meet the diversified requirements of our prestigious clients, we are offering an assorted range of Stainless Steel Strips. Offered steel strip is inspected on numerous parameters of quality for dispatching a flawless assortment. The offered steel strip is professionally manufactured from the excellent quality material in fulfillment with the market norms. This steel strip is accessible in different specifications to fulfill the ample desires of patrons. We also produce other specification according to customer's requirements. 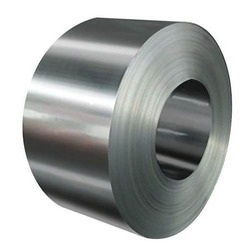 M P JAIN, Mumbai, India is engaged in Industrial supplies can offer wide range of HOT ROLLED STEEL COIL from ready stock or on make to order basis are currently supplying to UK, Iran(Tehran), Saudi Arabia, Spain, Bahrain, Nigeria, Dubai, Egypt, Malaysia, etc. Can offer Sheets, Coils Strips with pvc coated, matt finish, No.1, No.2, No.3, No.4, BA, 2B, etc. finish depending on material grades. Size Dimensions: Client can avail Sheets, Coils Strips of thickness sizes ranging between 0.5mm upto 6mm depending on material grades technical specifications. 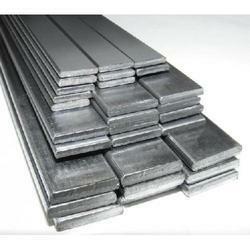 M P JAIN is one of the prime supplier, stockist, exporter and trader of Inconel Sheets and Plates in India. We offer these Inconel Sheets that are available in the variable lengths, grades and sizes. Our products are being used for several applications such as in petroleum, power, paper making, gas metallurgy, chemical, aviation, medical equipment, boiler heat, ship building, exchanger, construction, and more. Our range of Inconel Plates is available in different sizes and grades for to meet the requirement of fabrication, construction industries, heavy engineering, and so on. Ensuring to give high quality of materials, these can further be custom-made in terms of sizes, shapes and thicknesses as per the precise needs of our venerated patrons. We are offering these sheets and plates at market leading prices. We are one of the leading stockists, Suppliers and Exporters of Inconel Products. 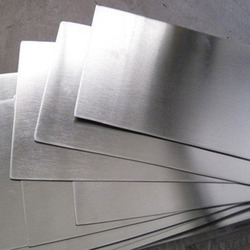 Inconel Sheets is also one of the Nickle base alloy having Majority of Nickle in it. It is available in different shapes & sizes. 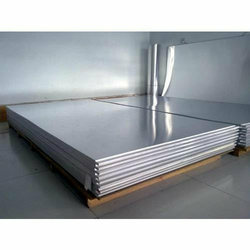 We are offering Non Magnetic Stainless Steel Plate to our client. 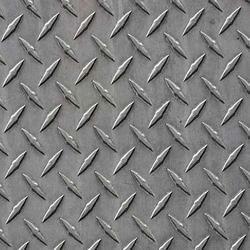 M P JAIN are one of the Leading, Stockiest & suppliers of Stainless Steel Chequered Plates. 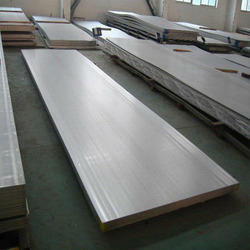 We are offering Stainless Steel Chequered Plates to our client. 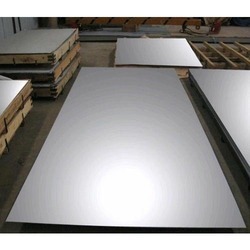 M P JAIN are well known Exporters, Suppliers & Stockiest of Premium quality Titanium Plates & Titanium Sheets in Mumbai, India. that find application in various industries across the globe. Our plates, sheets and coils are testimonials of our quality standards. Titanium sheets and plates are used in a wide range of applications including structural, mechanical & general engineering purposes. We can offer sheet and plates in variety of grades and lengths as per the client's requirement. 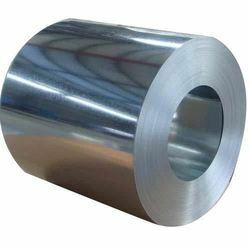 We are the well-known organization actively engaged in offering a wide assortment of Titanium Sheet. 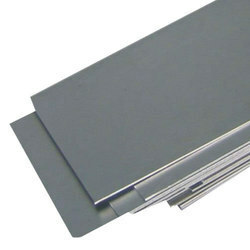 These titanium sheets are manufactured with the help of latest techniques using best quality material. 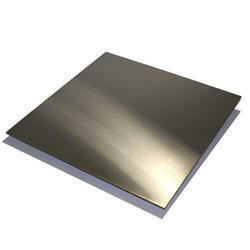 Offered titanium sheets can be use in some fittings parts and fastening pieces. 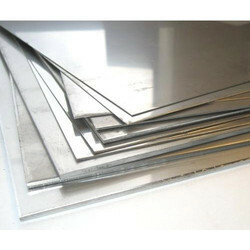 The provided titanium sheets are obtainable at competitive price from us in a stipulated time frame. 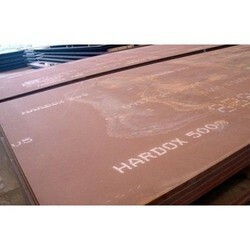 We are offering Hardox Plates to our client. 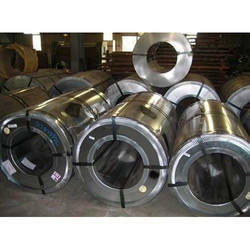 We are offering Steel Coils to our client.